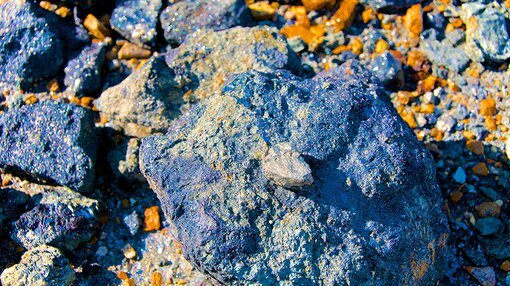 Kopore Metals Limited (ASX:KMT) has announced results of its recently completed airborne magnetic and electromagnetic survey (AEM) at its Kalahari Copper Belt projects in Botswana. The geophysical survey, conducted for KMT by South African based NRG Exploration CC using a helicopter borne electromagnetic and magnetic survey (HTDEM) system, successfully identified four initial electromagnetic (EM) bedrock conductor primary target areas. 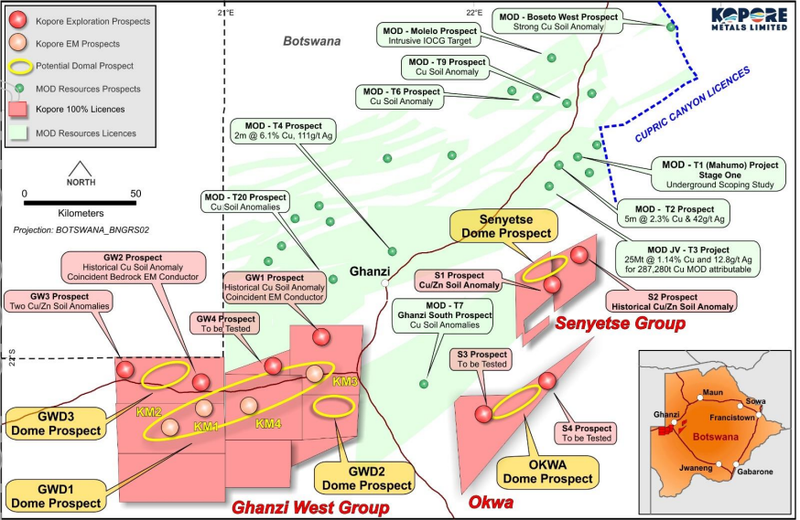 These conductor zones range from shallow depths below surface, of less than 50m, to deeper targets, of more than 250m, and up to four kilometres in strike length, located across its Kalahari Copper Belt Ghanzi West GWD1 prospect. The airborne magnetic and EM survey (AEM) covered an area of 1,091.7 square kilometres of the current 7,891 square kilometres of KMT’s 100% owned prospecting licences. KMT also reported that reprocessing newly acquired regional magnetic airborne raw data and a recent field geological reconnaissance programme confirmed the presence of the targeted D’Kar formation, over the GWD1 target. The D’Kar formation is known to host most of the mineralisation including the substantial and regionally proximate Zone 5 (Cupric Canyon Capital) and T3 copper-silver (Mod Resources Limited) projects. The company will conduct detailed ground geophysical programmes over each of its identified EM prospects as it investigates the potential for a MOD Resources Limited T3 copper-silver project style geometry. This ground geophysical and soil sampling will commence on these targets as soon as practical. KMT continues to review the survey results and integrate the results with its additional planned ground reconnaissance programmes and drilling. The company has designed detailed ground EM survey programmes to follow up selected prospects to help refine the targeting process and establish a better understanding of potential geometry and will subsequently be used for exploration drill targeting. It has also commenced preparation of the Environmental Management Plan (EMP) over the EM target areas for submission to the Botswana Department of Environmental Affairs. In preparation for detailed exploration drilling programmes, KMT will conduct detailed exploration programmes using non-invasive techniques, such as ground geophysics, concurrently with the EMP submission and approval process. KMT will evaluate the potential for further AEM programs over recently identified prospects to refocus its planned exploration drilling campaign, which subject to government approvals is expected to commence in the second quarter of 2018. KMT’s recent geophysical programme has efficiently identified multiple potential copper prospects across its substantial landholding, which the company is looking forward to exploring over the coming months. Managing Director, Grant Ferguson said, “We are extremely pleased that our maiden airborne geophysical survey has defined four quality initial primary targets that form part of a highly prospective, interpreted large domal area, as well as identifying a number of other regional targets for follow up.